The furious attempts by anti-choicers to portray Savita’s death as an issue of negligence rather than Ireland’s abortion law overlooks some very simple facts. 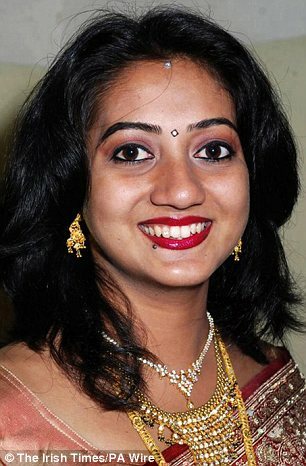 The law is the reason Savita’s request for an abortion was denied. The law is the reason Savita’s medical team were forced to assess her illness by reference to whether she met some vague and ill-defined threshold of sick enough before they could accede to her request. The law is the reason preservation of her foetus was given such priority. Here, an OB/GYN with expertise in infectious diseases, practicing in a jurisdiction without such a law, describes how she would have assessed Savita’s condition – not being constrained by the threat of prosecution to look for any possible chance, however remote, that a (clearly unviable) foetus could be saved. One of the experts at the inquest, Dr. Susan Knowles, a microbiologist at the National Maternity Hospital in Dublin is reported in the Irish Times as saying there wasn’t a substantial risk to Ms. Halappanavar’s life before Wednesday at 6:30 am. While she admits to what she calls “subtle indicators” of sepsis and chorioamnionitis (infection of the fetal membranes), she asserts these findings were just not enough to warrant a termination.